Tottenham forward Son Heung-min believes that the north Londoners can upset the odds in the first leg of their Champions League quarter-final against Manchester City next week. The Korea international scored the first goal at Tottenham's new stadium during their 2-0 win over Crystal Palace in mid-week, with Christian Eriksen putting the icing on the cake for Mauricio Pochettino's side. 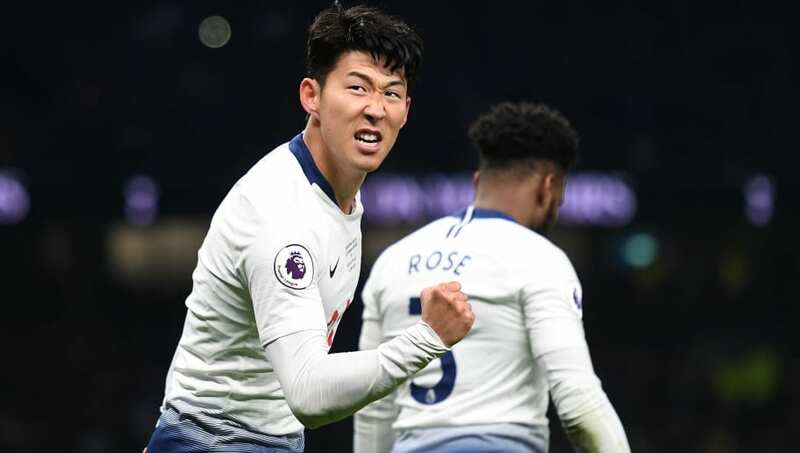 They'll be looking to keep things going when they host Manchester City in the Champions League on Tuesday, and Son is confident that Tottenham can register a "good result" against the Premier League champions. "In football, you never know," Son said quoted by Goal. "Who could imagine that we would have such a hard time for the last five games? "The Man City game will be played at our home, it's a Champions League game. I believe if we can do what we always do, we can make a good result." The 26-year-old immortalised himself into Tottenham folklore by scoring the opening goal against Crystal Palace, but Son insists that he had no thoughts of crowning their new stadium with a goal and was only focused on getting three points last week. "No, I didn't. I really like Tottenham, a lot. My time here has brought me so many things. I just wanted to win," he added. "It was a historic game, and we didn't want to show a poor performance. I focused on winning, and I believe today's win will help us for the rest of the season." Tottenham could drop down to as low as fifth in the Premier League table by the time their European clash with Manchester City gets underway on Tuesday, with both Arsenal and Manchester United (on goal difference) capable of overtaking Pochettino's side.